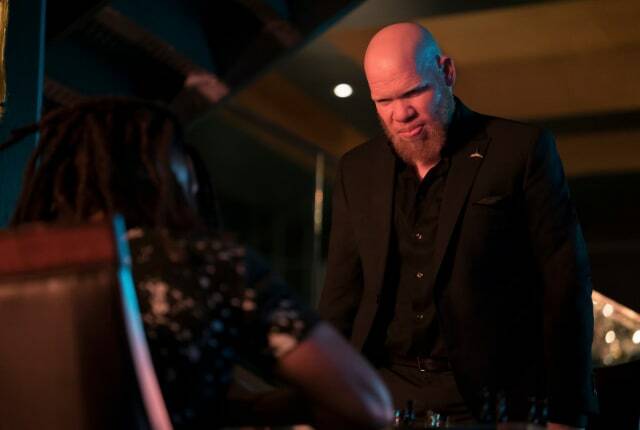 Watch Black Lightning Season 2 Episode 2 online via TV Fanatic with over 1 options to watch the Black Lightning S2E2 full episode. Affiliates with free and paid streaming include Amazon. On Black Lightning Season 2 Episode 2, a familiar face from Jennifer's past makes a reappearance, and Anissa's love life gets a bit more complicated. Tobias: Check! Actions have consequences. You have to anticipate. Tobias: Checkmate. You lose! You let me take your queen. Just like how you let that b**** take Syonide from me. Jennifer: I’m stuck in here until the wardens release me, but ... hey! Hey! By the way, why do we have wardens plural? Jennifer: What’s going on with Mom and Dad? Are they getting back together? Anissa: It’s kinda cute. I think I heard them the other night. I HEARD them good. Jennifer: ‘Cause they’ve been walking around all emo-like; they’re sexually frustrated. Permalink: What’s going on with Mom and Dad? Are they getting back together?